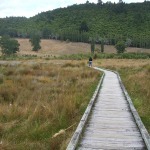 Lake Okareka Walkway - Stroll along the wetlands boardwalk on this easy 5.5km walk. Observe water birds from the birdwatching hide. Take in the spectacular views of bush laden hills and farmland - when there's no drought. 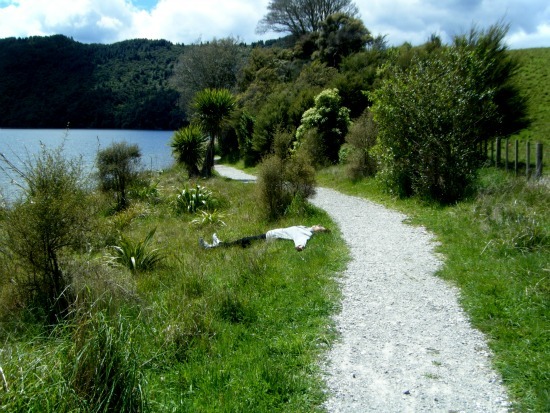 And once again, like a lot of Rotorua's walks, enjoy the sound of peace and quiet. View from Summit Rd above Lake Okareka with a brooding Mt Tarawera in the background (note the drought affected farmland). The walk ends about where the brown stops (top left) and you backtrack. Click any pic to open up the photo gallery to view larger pics. If there's a cross in the top right-hand corner it will expand more. That's not to say it's quiet all the time. The numerous water birds can get quite noisy going about their business; catching food, chasing each other, looking after their young and watching out for predatory enemies dropping from the sky (hawks). Lake Okareka wetlands is inhabited by a mixed bag of water birds that include black swans, dabchicks, coots, pukeko, poaka (pied stilt), different types of ducks etc. Can't say I'm very good at recognising what's what when it comes to the different types of water birds. You know? A duck's a duck and the difference comes in the prettiness; for me anyway. I know a lot of people are right into birdwatching so please don't take offence at that. I know it's my loss. Bird watching in New Zealand is quite popular and for those who are bird lovers, along the boardwalk and track helpful information boards make identification easy. Got a digital camera? Take a snap and refer to it as you come across the various birds. This is a lovely place to visit when baby birds are around. What do you think of this pic? It was taken in one of the hides. 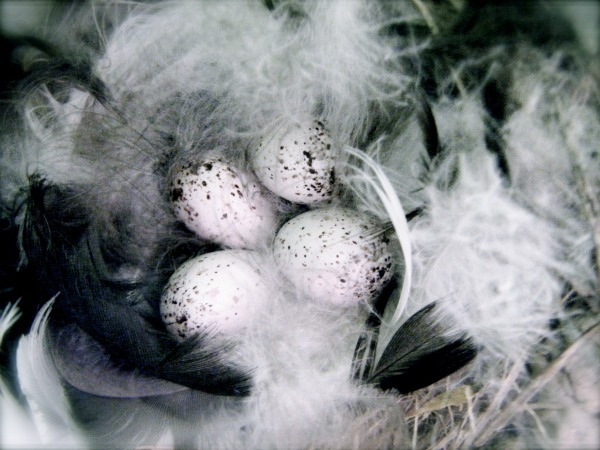 I saw a nest in the rafters, poked the camera over the top and snapped (without knowing if anything was in it). Surprise! It was like getting a little gift. 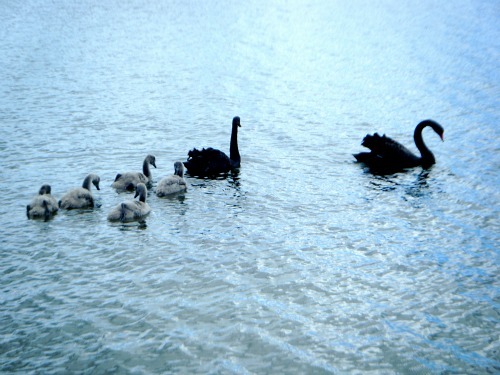 The pic below is a family of black swans which are common at Lake Okareka, and Lake Rotorua too. 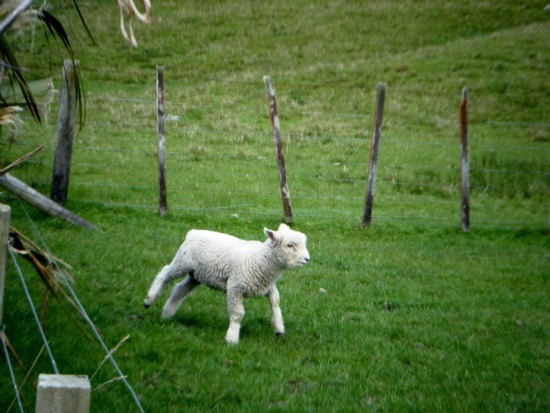 In the city they have been culled in the past because there were so many. People are discouraged from feeding the swans because they can get quite aggressive, especially if they have cygnets. 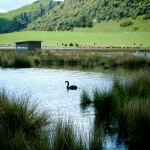 There are seven species of fish in Lake Okareka with four of them being native to New Zealand. They are the koaro (lake whitebait), smelt, bully and long-finned eel. Introduced species include the goldfish, mosquito fish and rainbow trout. The trout make this a great little fishing spot for keen anglers, whether it's from the shore or trolling in boats. 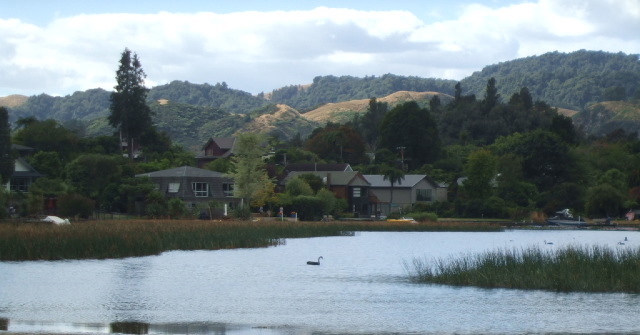 Fishing in Rotorua is super popular but this little lake doesn't get the number of anglers that other Rotorua lakes do. It's great I say, more for us. 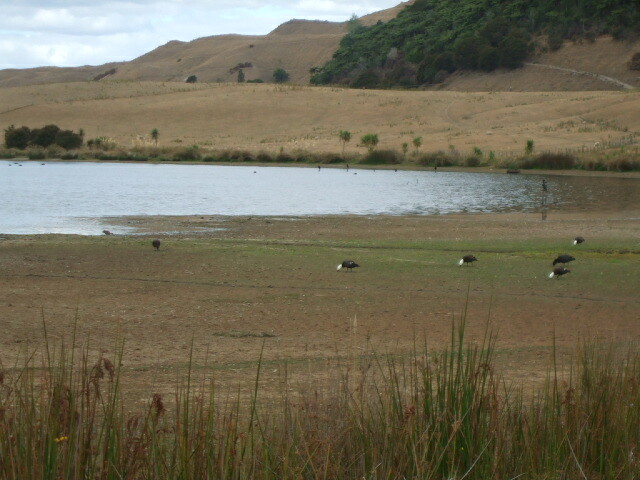 While on the Lake Okareka walkway, it's odd to see water birds picking away in grass amongst cows and sheep. It took friends and I by surprise once to see a family of ducks cross the track right in front of us to get to the farmland, and the parents didn't take their beady eyes off us the whole time either. The boardwalk is flat, as is the track until you get way around the far side of the lake. This makes it easy for people in wheelchairs to enjoy the wetlands too. Towards the end of the track there are some small steepish parts which should not be a problem. At the far side again, an eco-friendly toilet is available if needed. 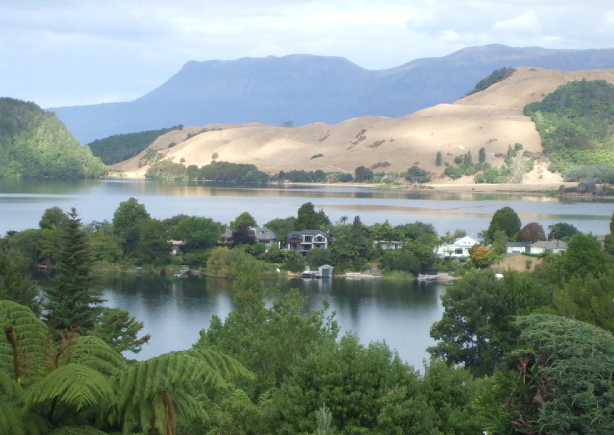 Living at one of Rotorua's many lakes is a popular lifestyle choice for people, and Lake Okareka is no different. Swimming, kayaking, horse trekking, trout fishing, the options for recreational interests are many. The small community is made up of permanent residents along with out of town holiday home owners. The population swells over summer with an influx of visitors. Various accommodation options are available including homestays, B&Bs, and two small campsites. 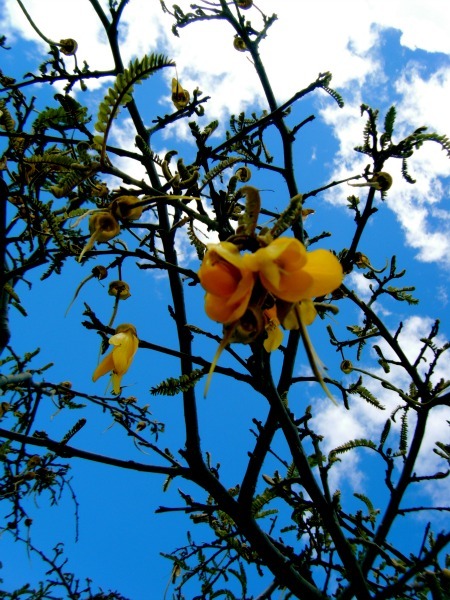 Further information about the community and facilities can be found on the local Okareka website. 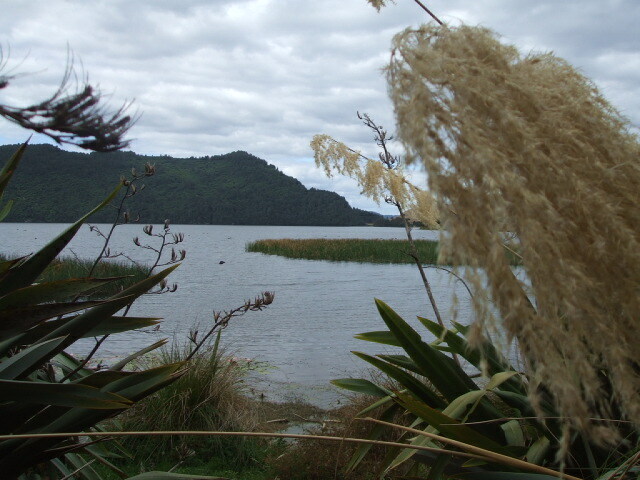 Many visitors to Rotorua choose to visit this area as part of a tour. The best one? Rotorua Duck Tours. Not only will they have you acting like a silly fool, but you'll learn a lot while hooning the streets (and lakes) at 30kmph in a World War II Amphibious craft. Book a Duck Tour now, or find out more by reading about my experience. From the Rotorua Tourism iSite located on Fenton St, head south, away from the lake. Turn left at the second set of lights (you will see the bright yellow Pak n Save supermarket on the corner). Continue until you come to a large roundabout (Redwood Shopping Center will be on your right). 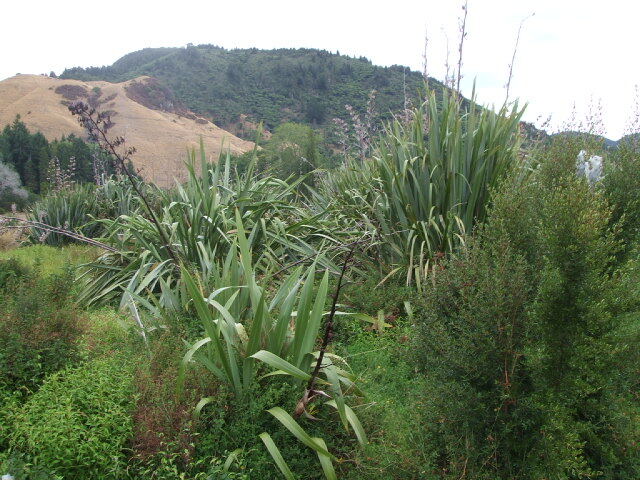 Take the 3rd exit onto Tarawera Rd and head on up the hill. Drive 4.8km and turn left into Okareka Loop Rd. Another 3.5km will get you to Acacia Bay Rd. Drive about 600m and look for the small carpark located on the right.